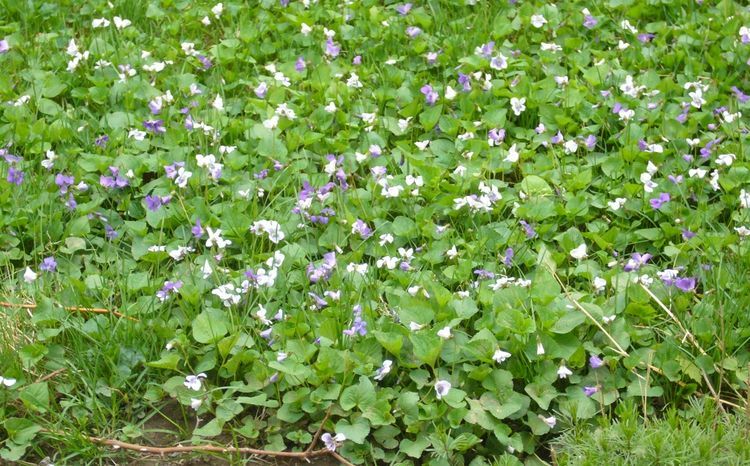 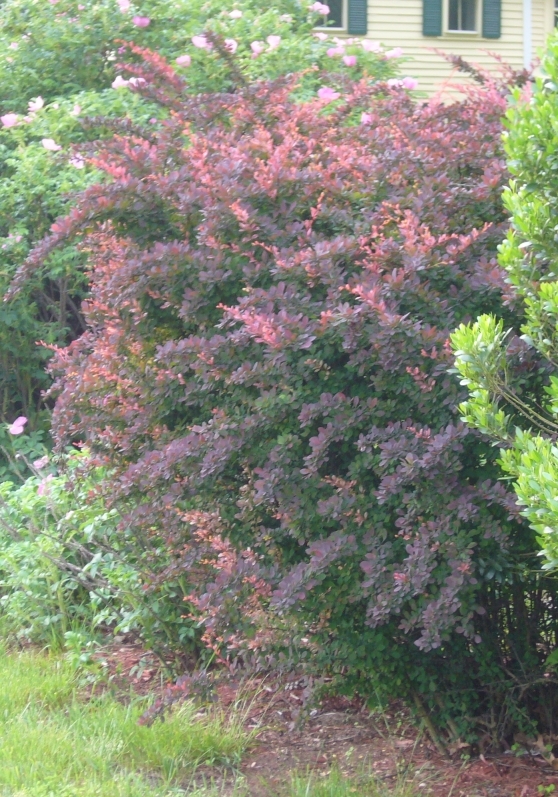 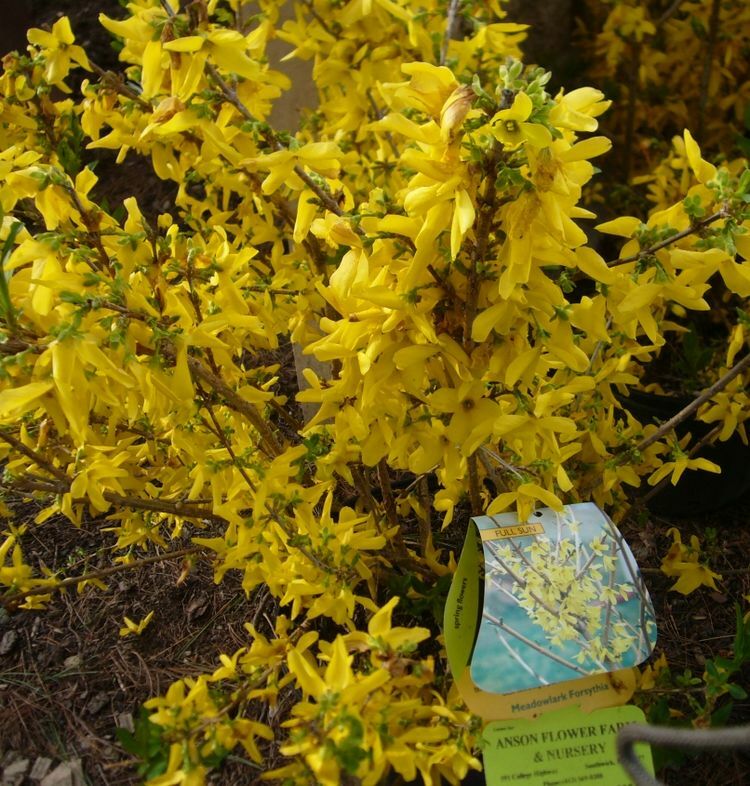 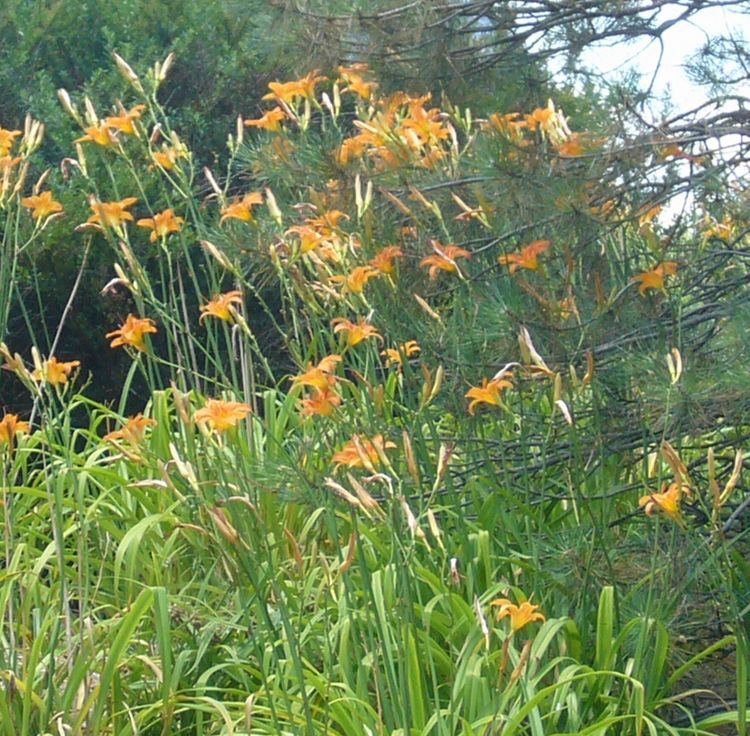 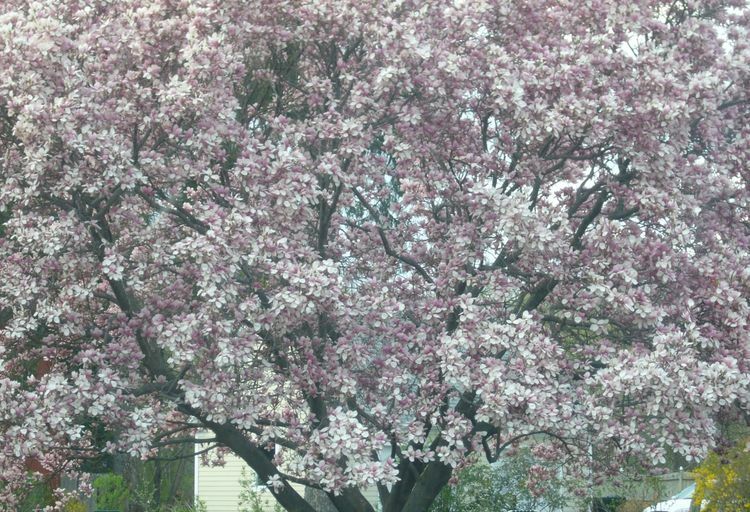 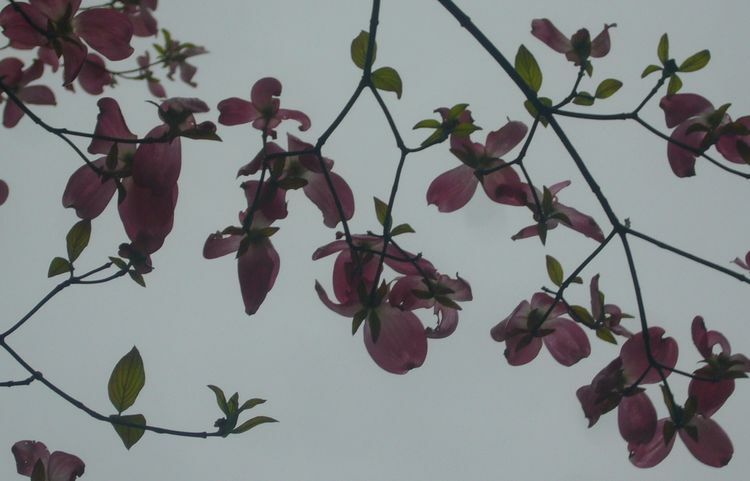 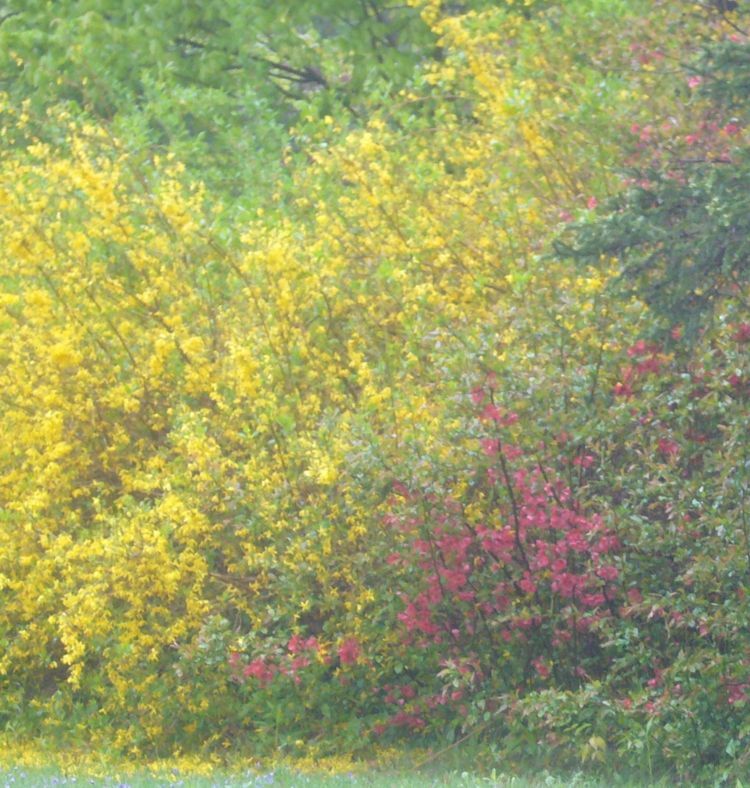 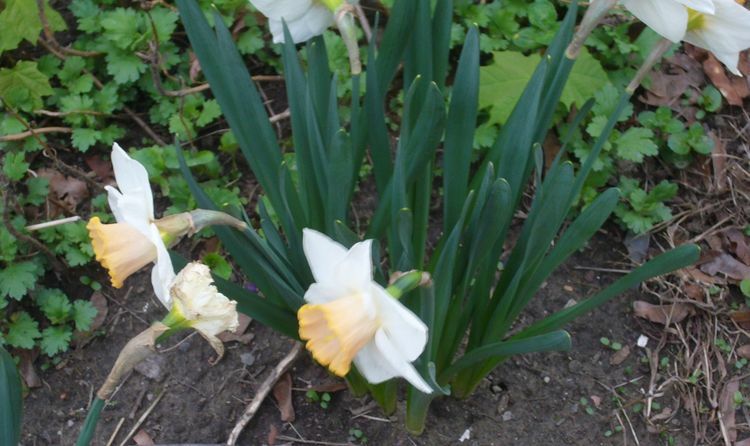 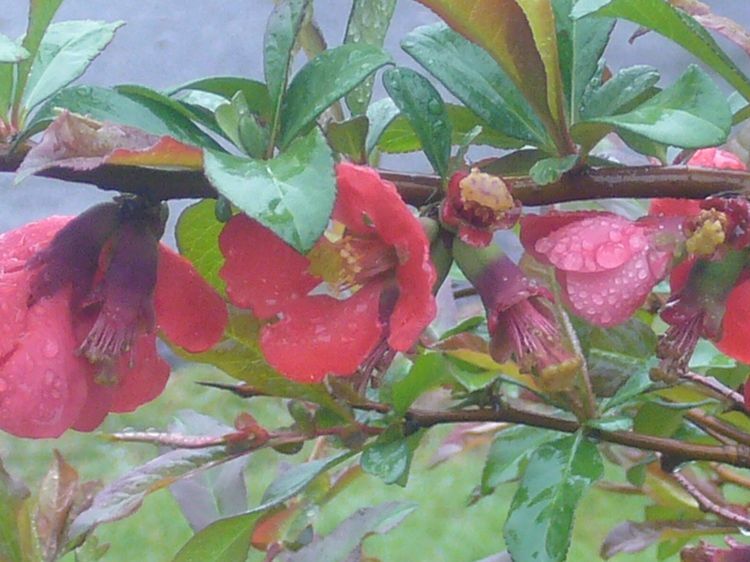 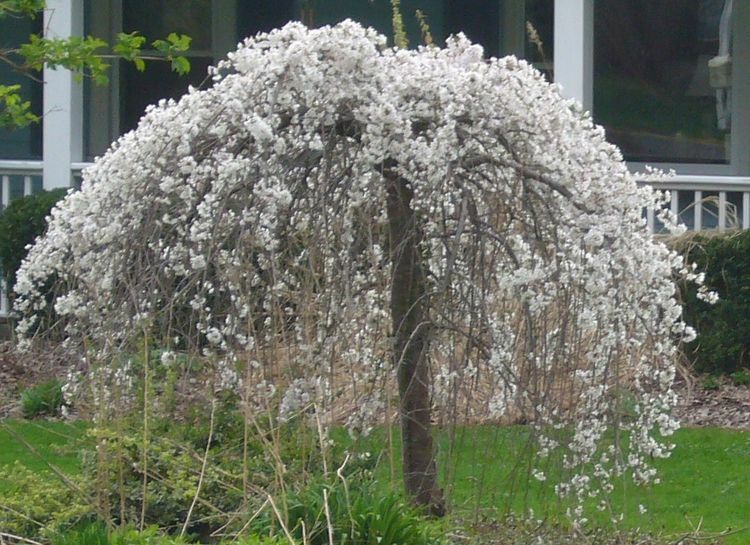 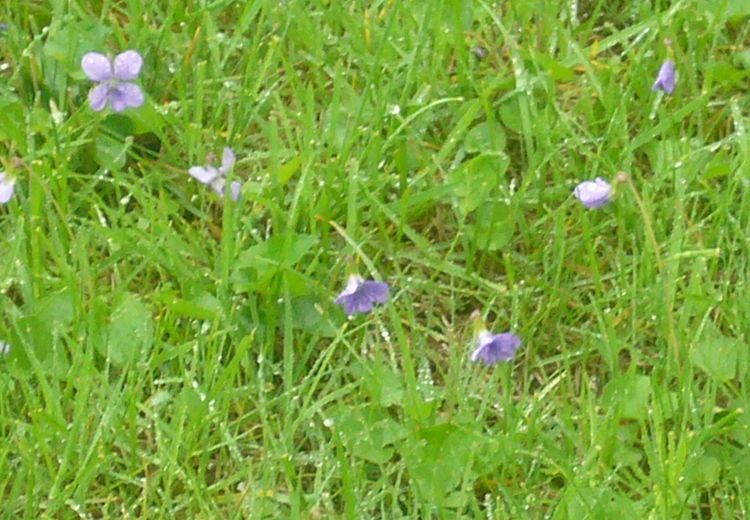 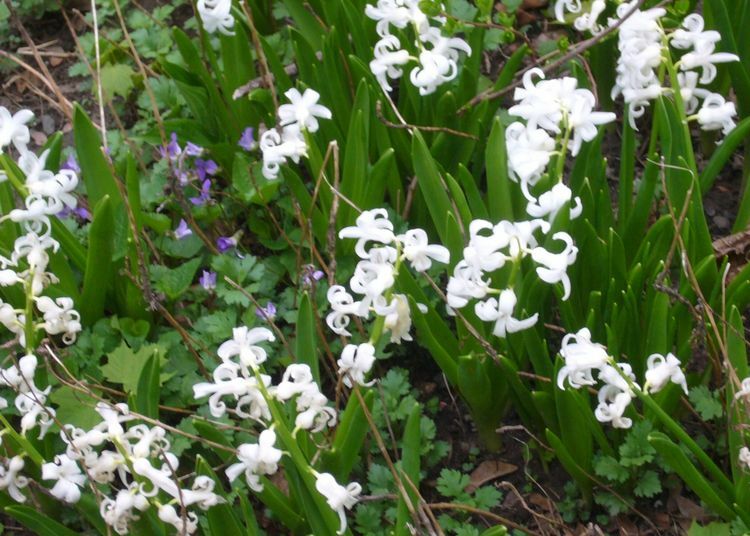 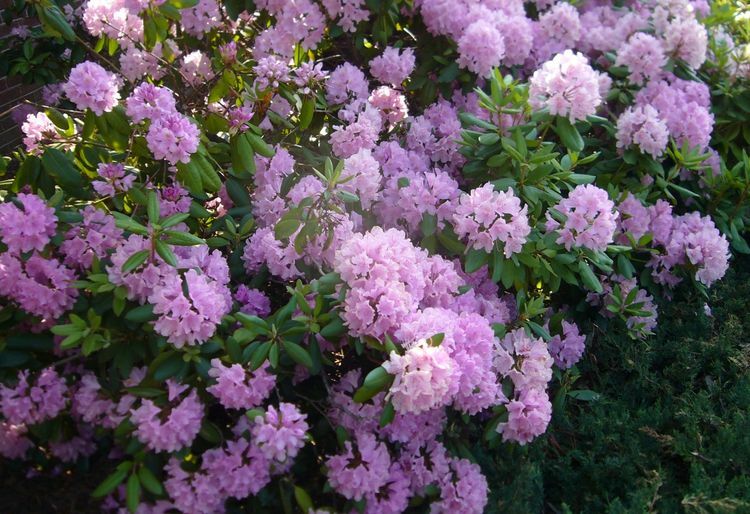 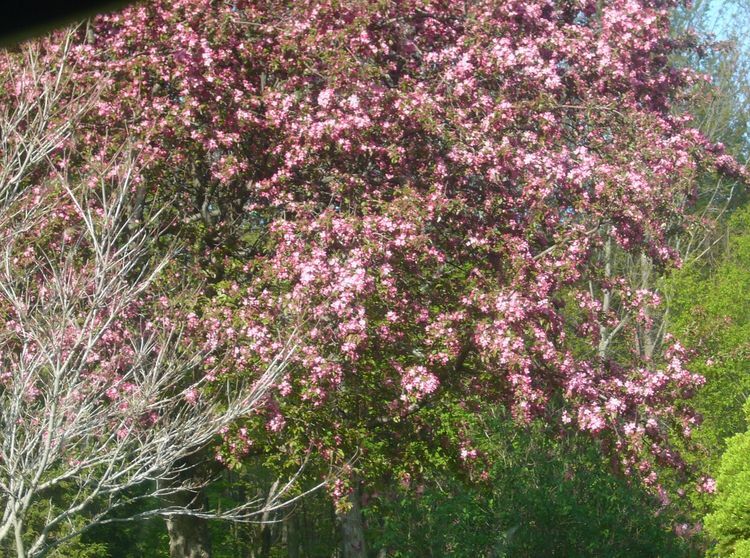 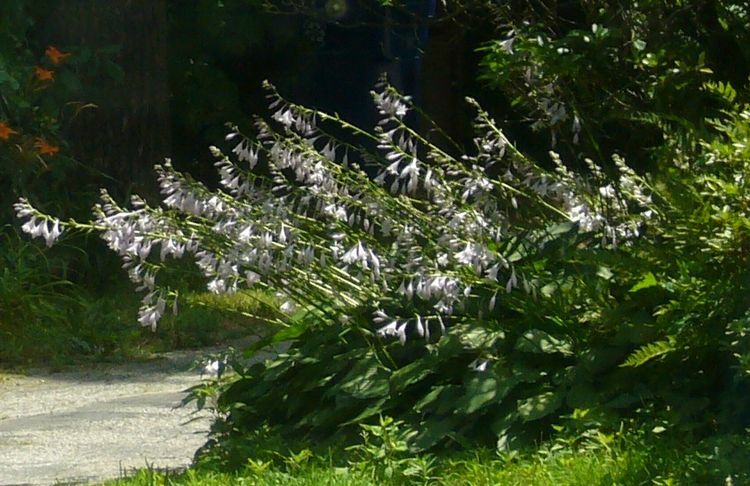 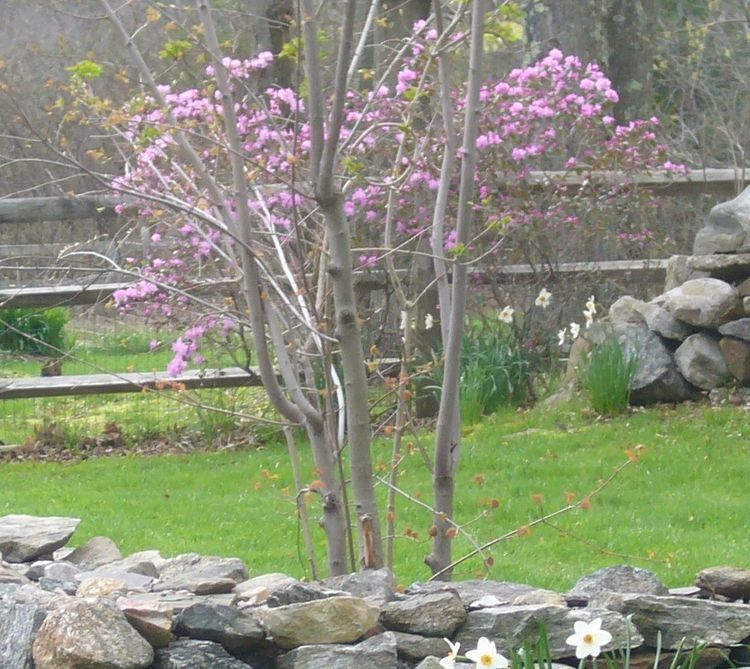 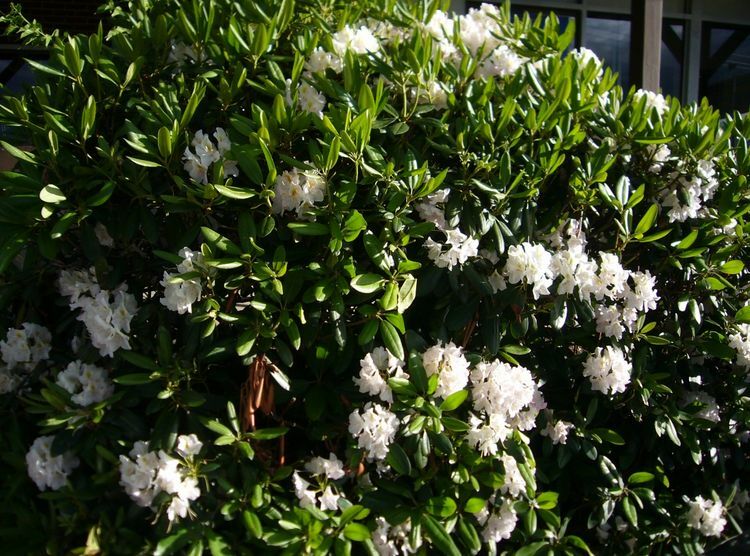 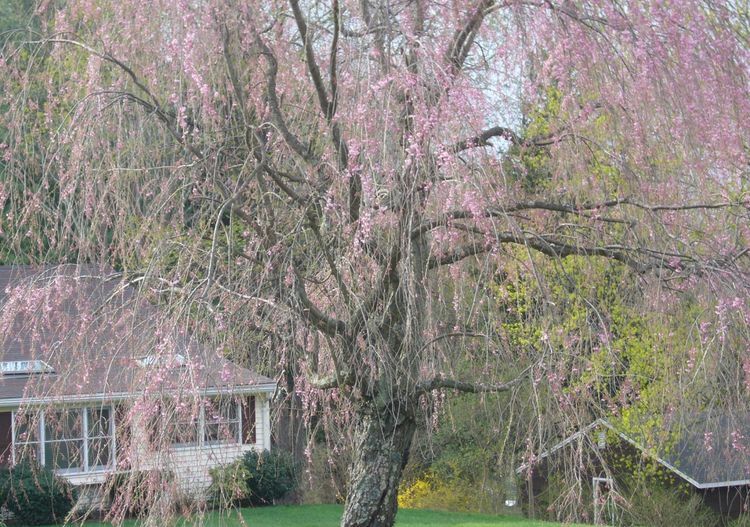 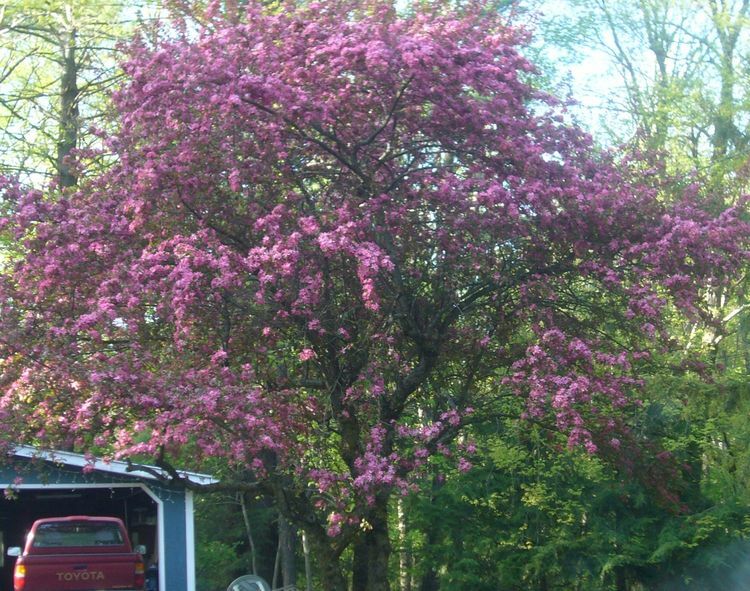 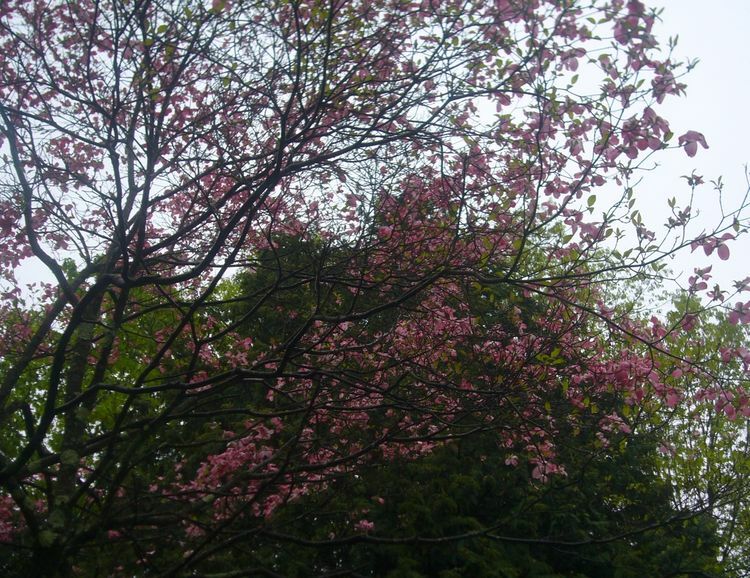 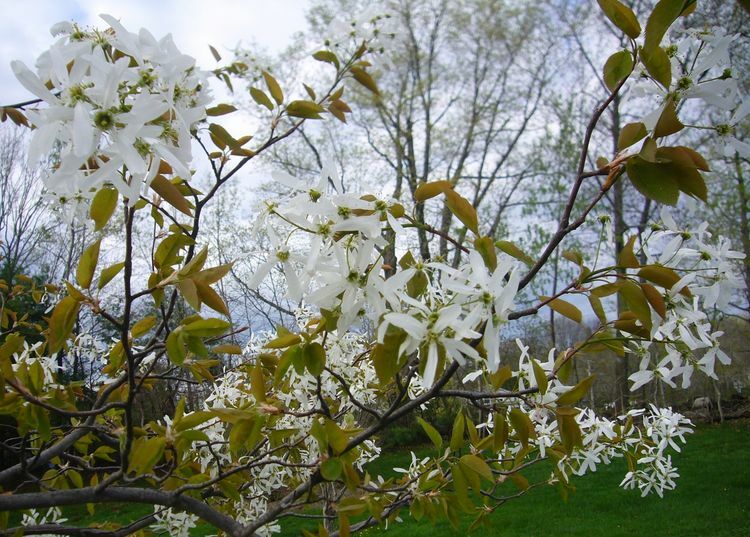 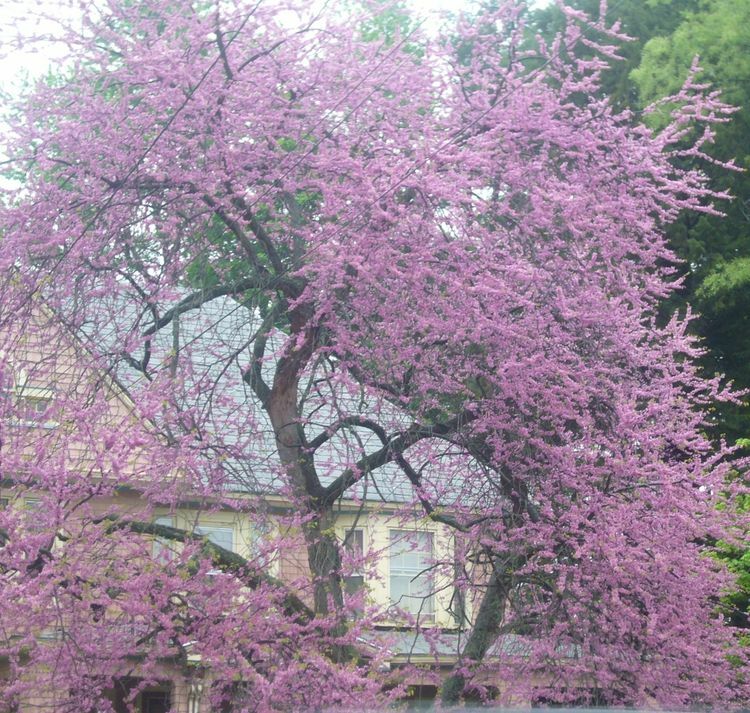 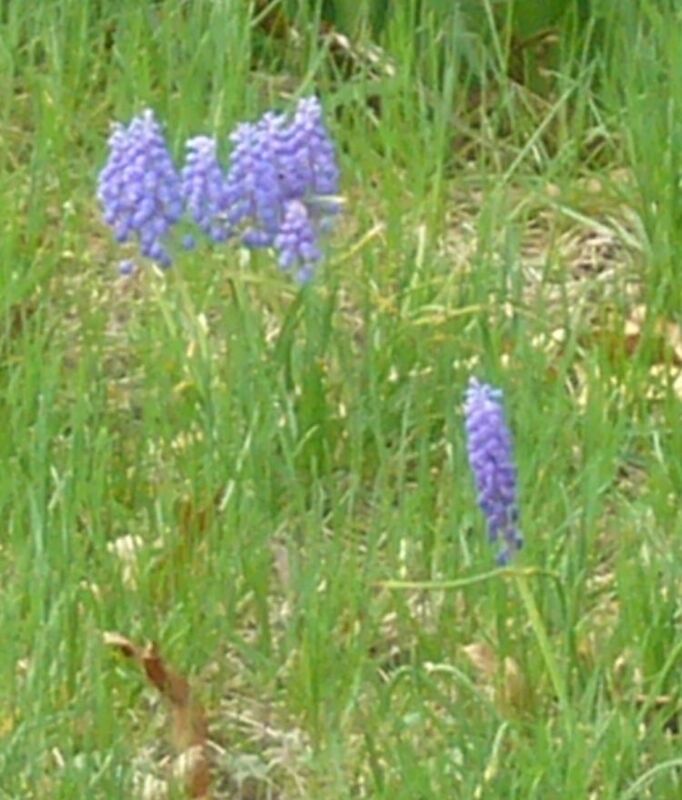 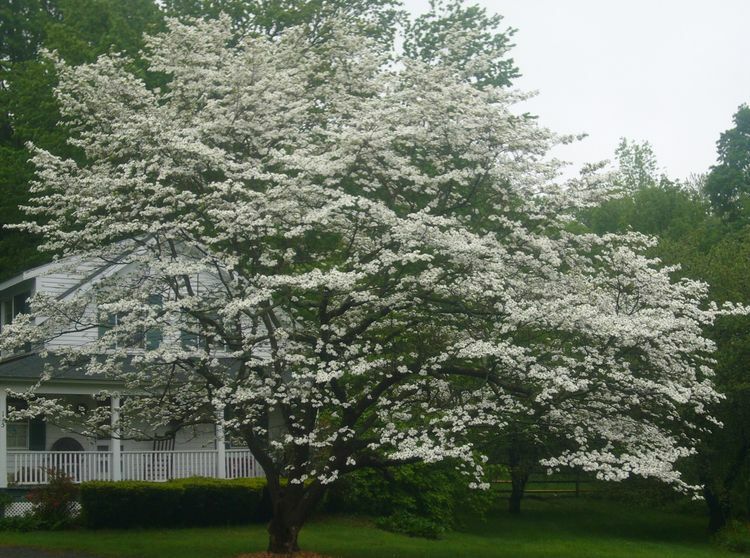 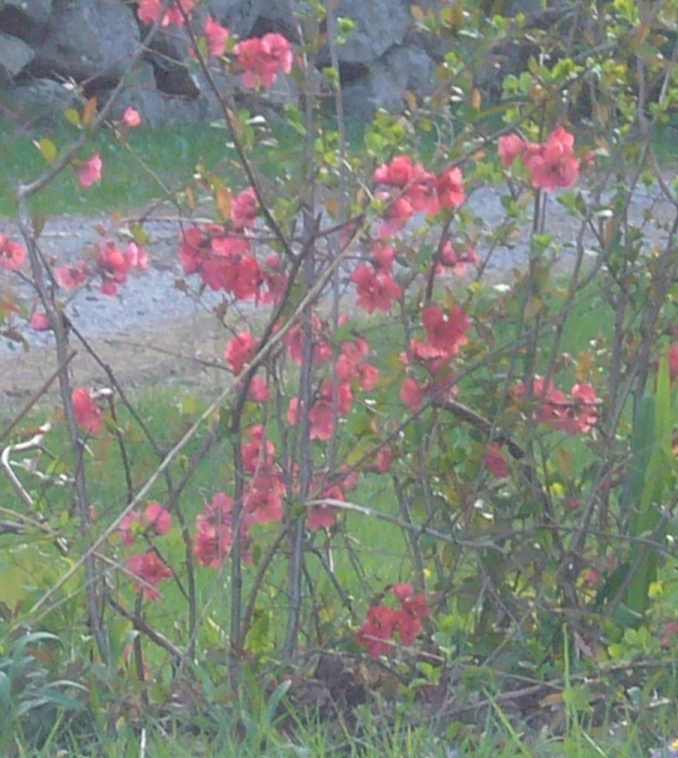 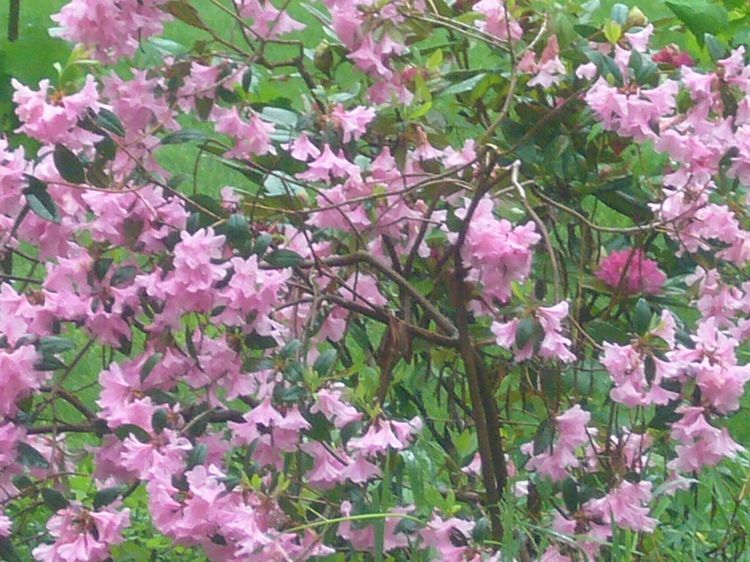 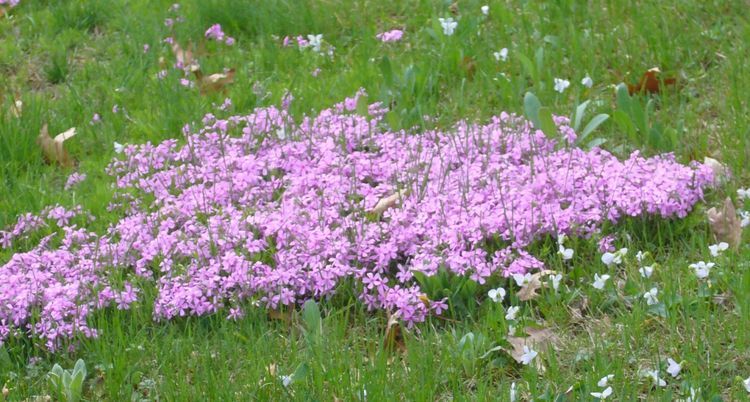 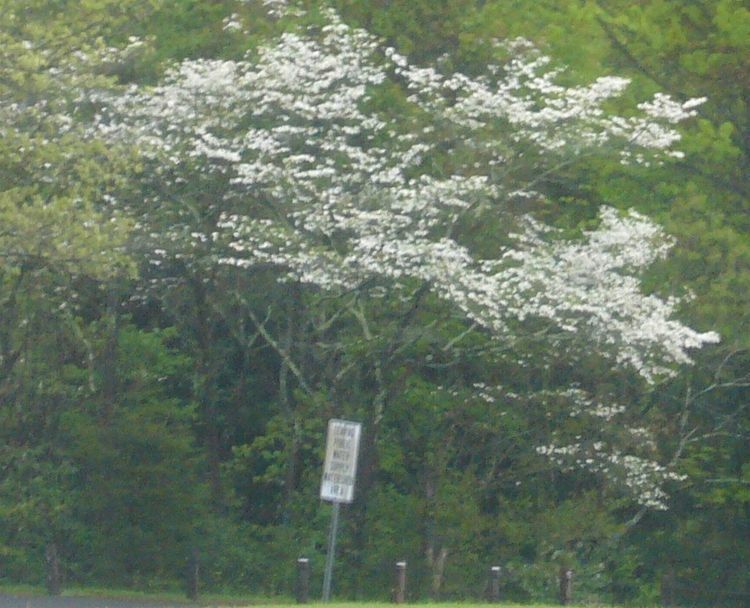 The following article is a series of pictures of early blooming plants in New England area. 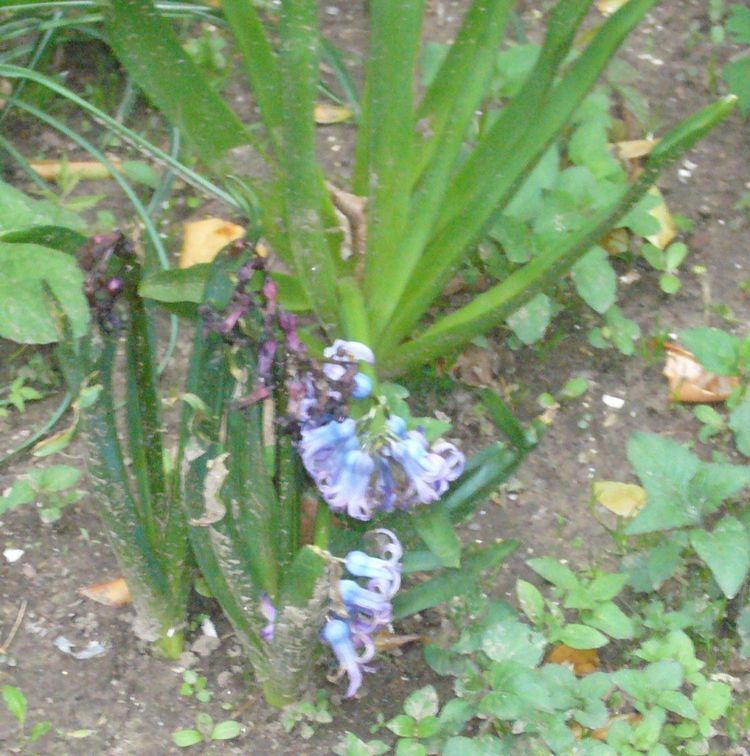 I do not know the names of plants in the pictures. 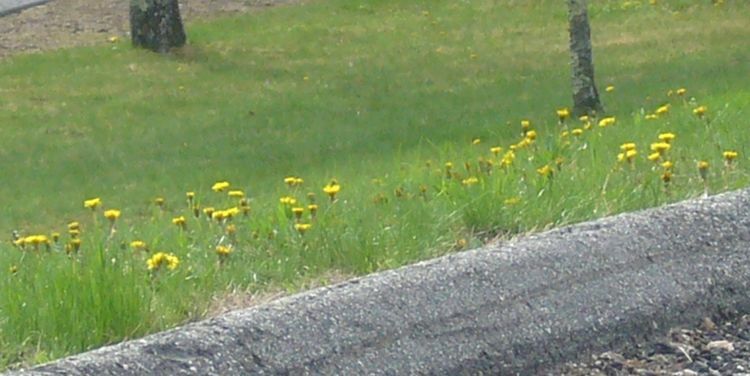 If you do, please let me know. 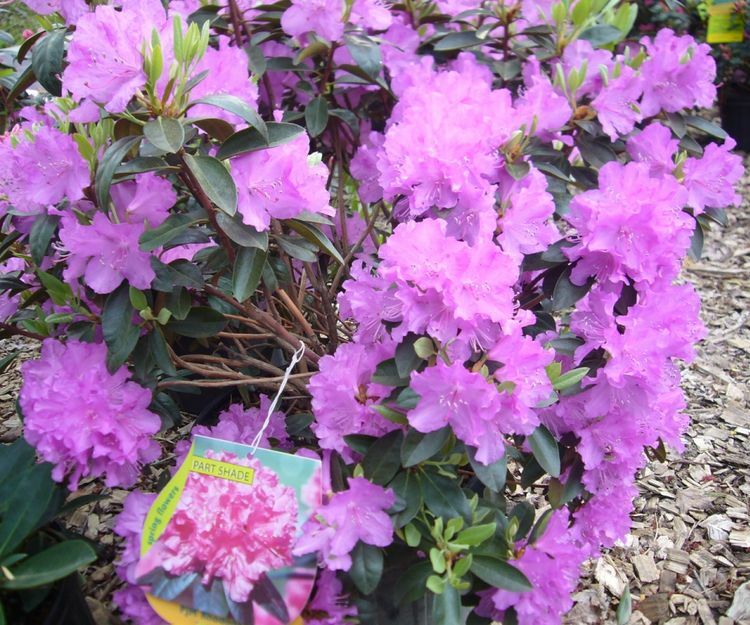 Planting these plants in your own garden will result in a garden that will bloom from the earliest of spring all the way to early summer. 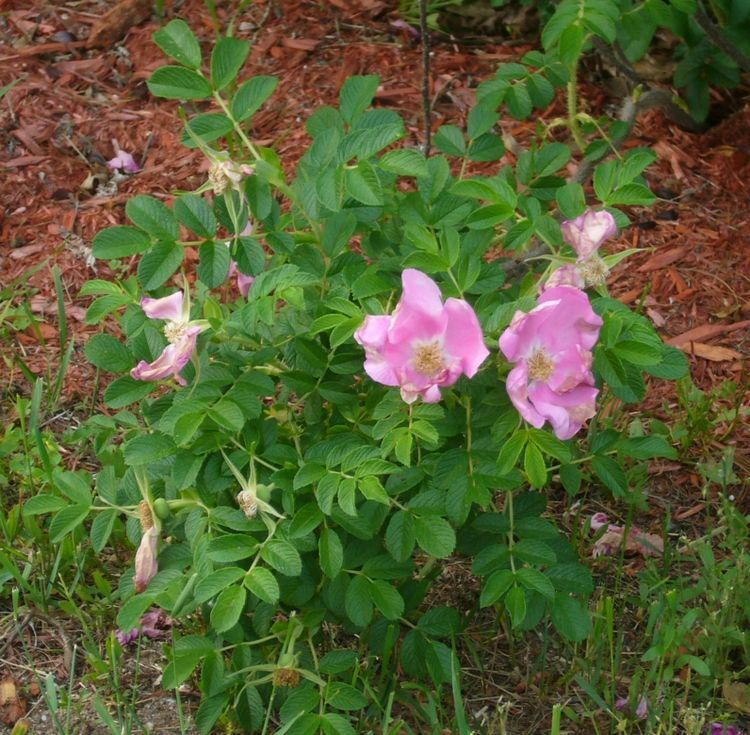 Note: Rose bushes and plants flower from spring till fall. 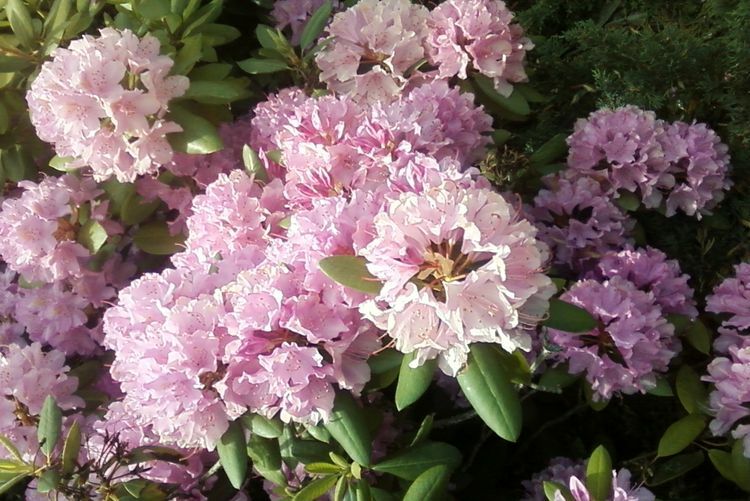 They are one of the best flowers if they are given a little care and attention. 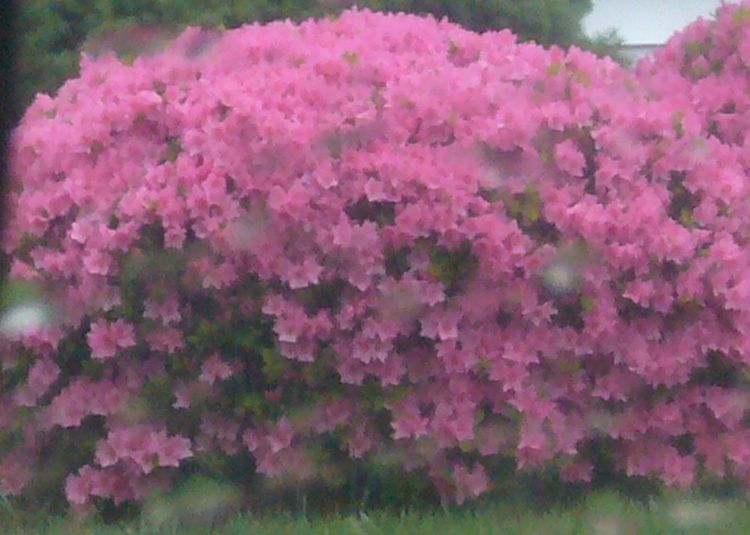 I am not an "annual" plant kind of guy. 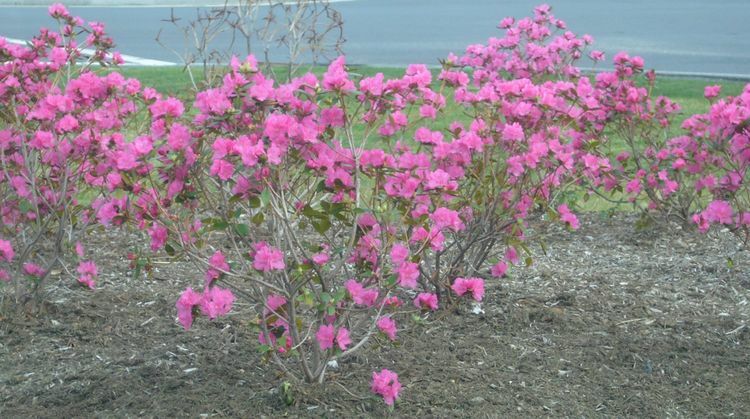 I like perennials and fruit trees and bushes. 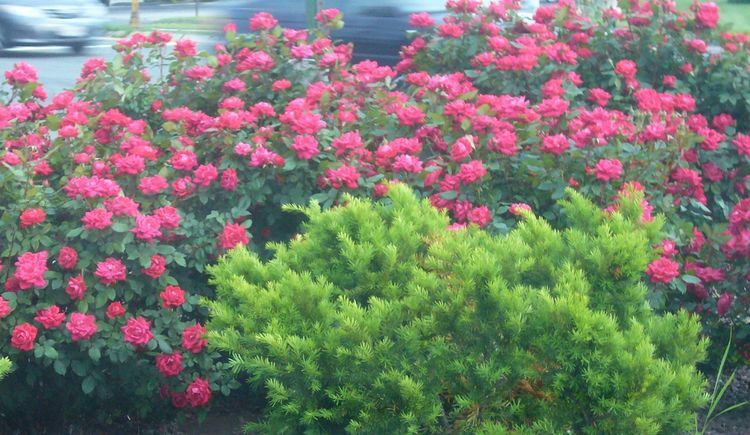 Flowers are nice, but plant fruit trees and bushes to get a value from your garden. 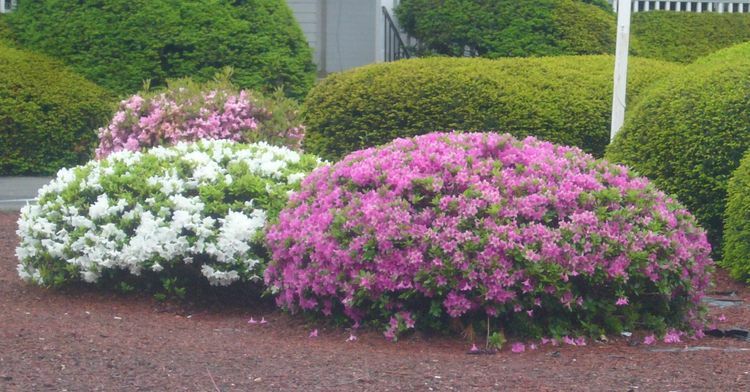 And don't go crazy with annuals -- stores like to sell them because it is a guaranteed yearly income. 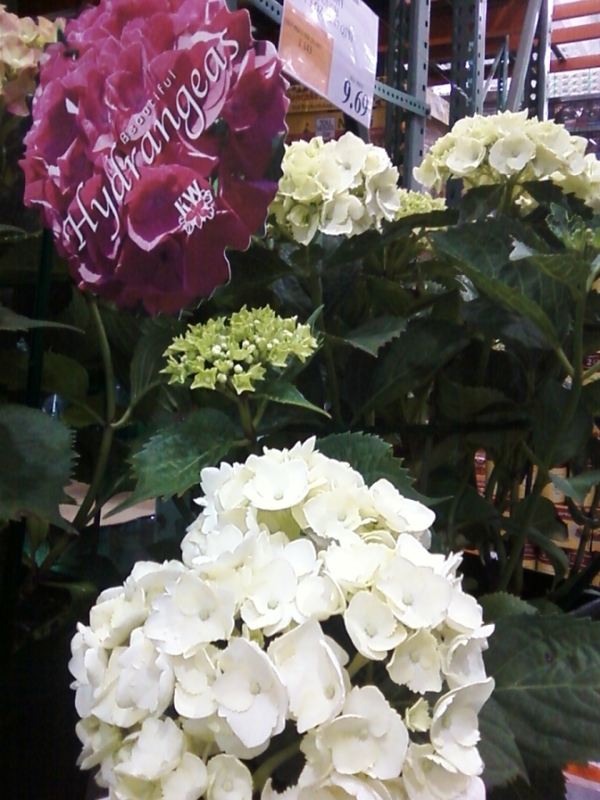 For you, it is a waste of money and hard labor every year. 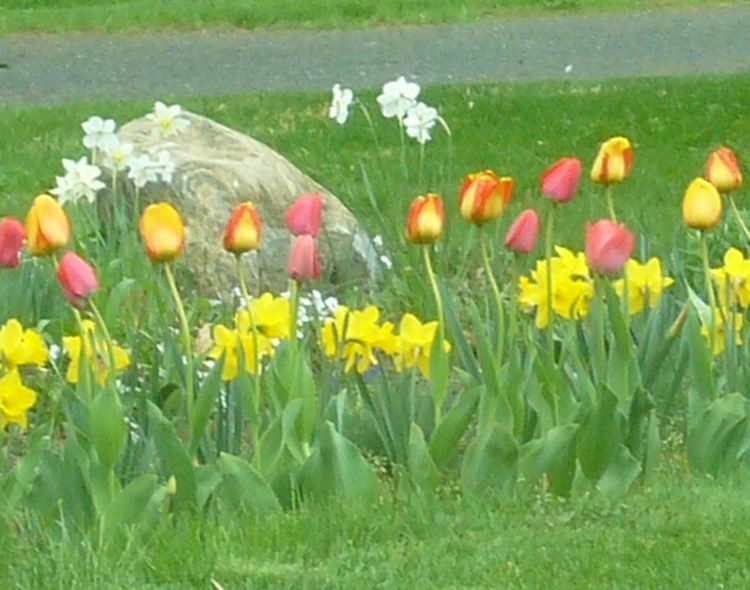 Don't complain to me -- I don't plant annuals. 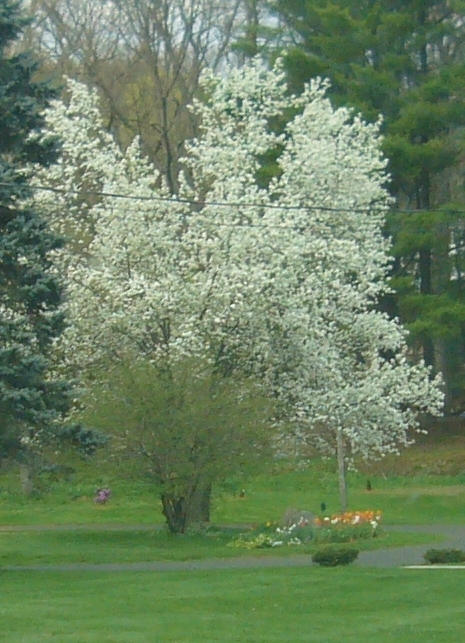 Crab Apple -- early spring blooms (not pictured). 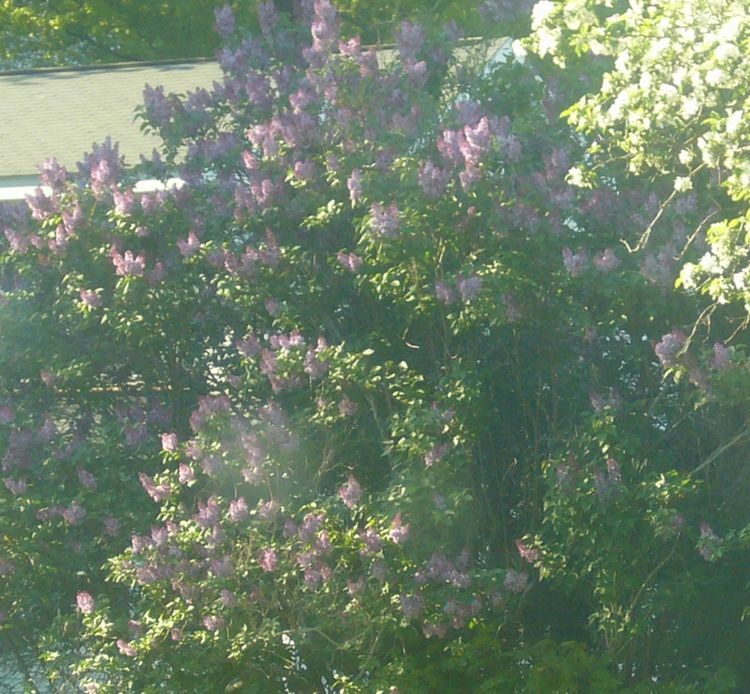 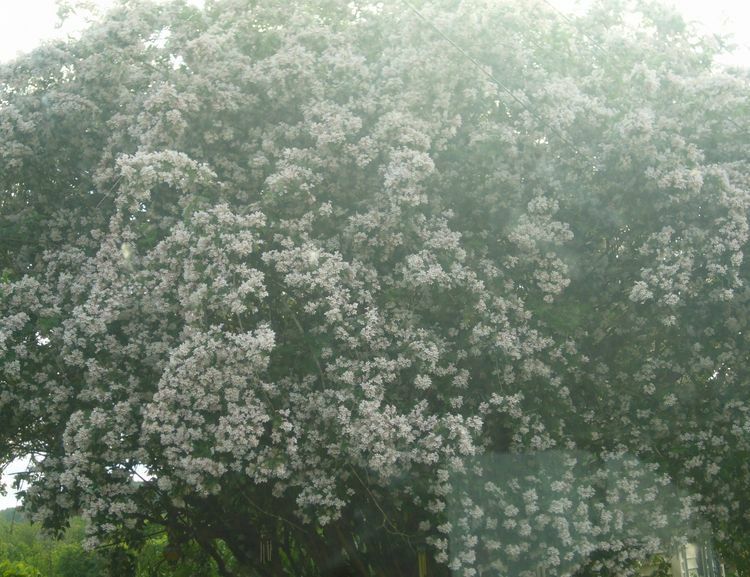 Beginning June and going for a long time -- Lilac. 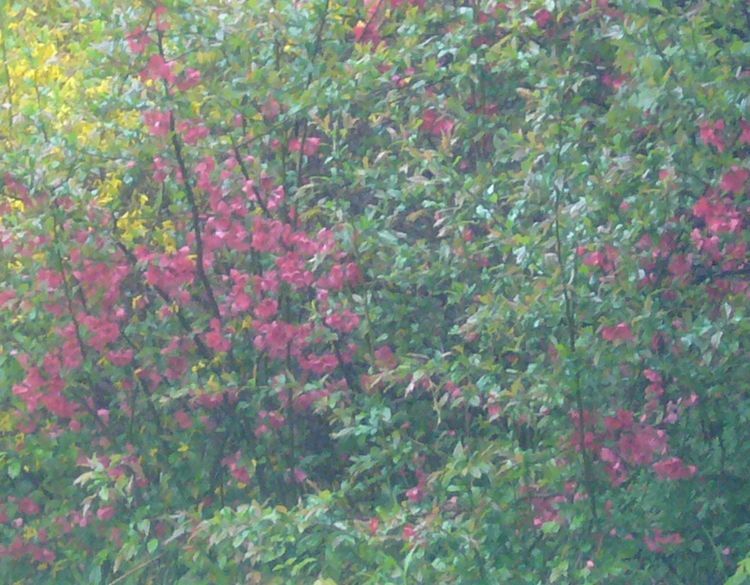 This page was last modified on 24 August 2011, at 18:59.